Celebrate our 22nd year in business with big savings! Save 22% on any new custom frame order placed before January 20, 2018. No limit on quantity. Cannot be combined with any other discount, coupon, or offer. Sale applies to the custom frame portion of any new order. Holiday Sale on Custom Framing! It's not too late to design a unique holiday gift! Frame some family photos, mementos of a vacation, or a cool poster -- art and memories make great gifts! 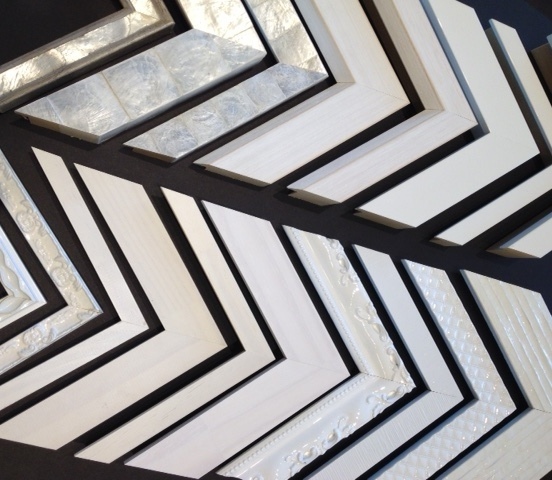 Save $25 on any new custom framing order of $125 or more placed before December 15 -- just mention this offer! Meet the Artists of our 21st Annual Winter Group Show and enjoy cider, wine, and snacks! 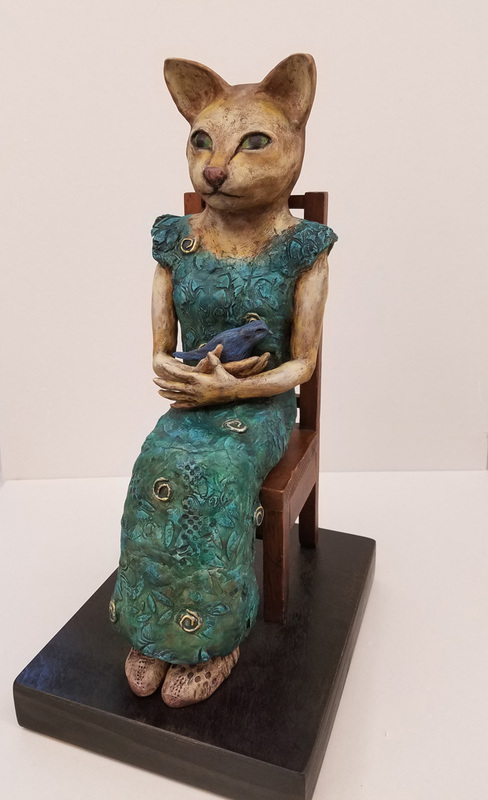 Featuring new ceramic sculpture by Sandi Bransford and jewelry by Twyla Dill Designs. 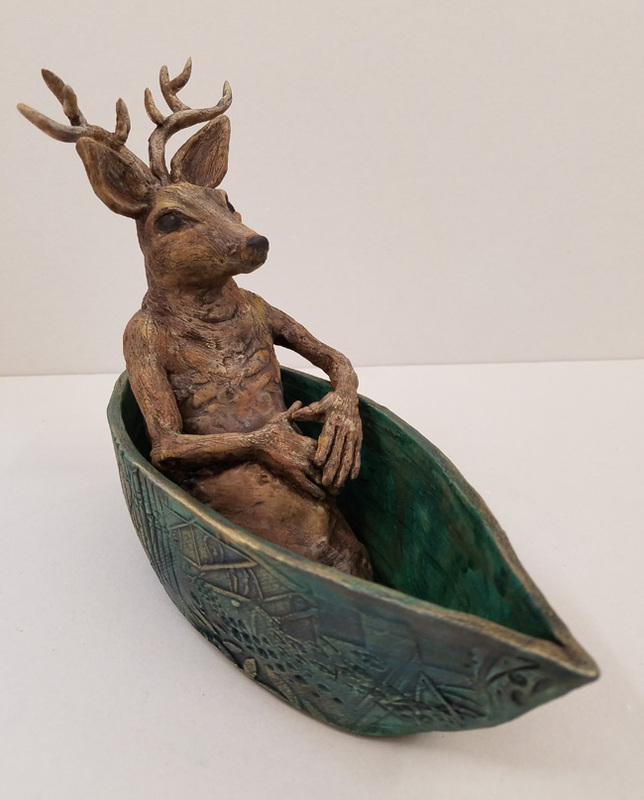 Sandi unveils a new group of her compelling "Journey" sculptures and some beautiful new figurative works. Animals always play an interesting role in her work, and the surface textures are remarkable. Twyla Dill is a Seattle jeweler whose work combines modern designs with a delicate crochet technique that adds color to silver and gold tones. Also on view are new small works by Carla Dimitriou, original prints by Judy Talley, jewelry by A Tea Leaf and Liz Lyell, and Venetian plaster paintings by Miguel Lee-Leon. We hope you can join us! 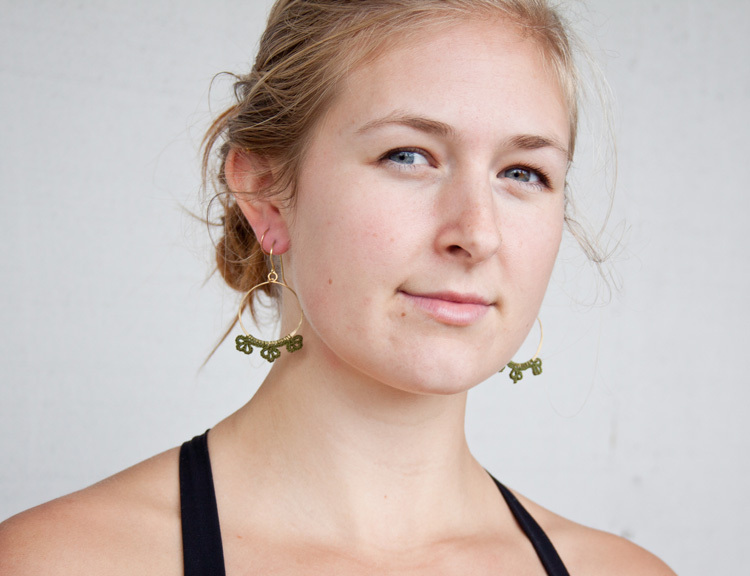 Twyla Dill Crocheted Jewelry -- Made in Seattle! Twyla Dill at work with her crochet needles!